The European Investment Bank action Jonathan Taylor, has declared more capital investment fund for the ongoing Lake Turkana wind project in Kenya. (EIB) Vice-President responsible for climate action Jonathan Taylor, has declared more capital investment fund for the ongoing Lake Turkana wind project in Kenya. Taylor made his declaration statement at the ongoing UN world climate change conference (COP22) in Marrakech, some renewable energy projects are gaining praise and additional capital investment. However, the European Union has cited the project as a global example of a good investment in sustainable energy. The 310MW wind power project, located in Kenya, East Africa, is said to be the largest wind farm on the African continent. Last month, the wind project developers declared having installed 155 of 365 turbines in the past 6 months. 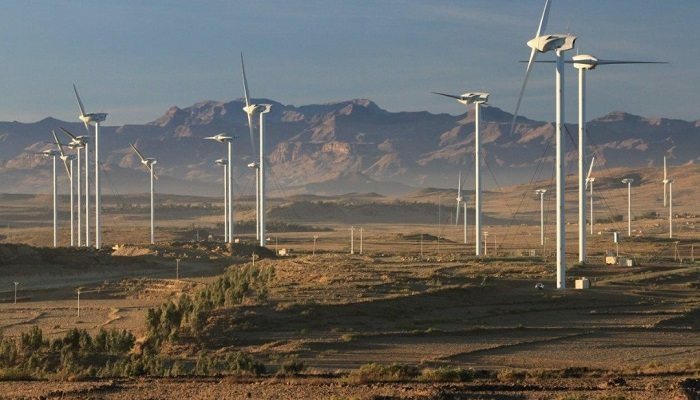 “Transformational projects such as the Noor solar power plant at Ouarzazate [Morocco] and Lake Turkana wind farm in northern Kenya demonstrate how private investment across Africa can be unlocked to strengthen sustainable energy generation,” said Jonathan Taylor. Meanwhile, the Vice-President announced that the bank has already given Sh 23bn (US$226m) to support the project, and pledged additional financial support from the European Union, through the EU-Africa Infrastructure Trust Fund and a broad range of international investors. Moreover, as the largest single wind farm in sub-Saharan Africa, the project is expected to generate around 20% of Kenya’s power, providing reliable, low cost wind power to the country’s national grid. According to Taylor, availability of affordable energy is essential for Africa and electricity from the Lake Turkana Wind Power project will support economic growth across Kenya by helping to ensure power supply during periods of peak demand. On completion, the project will encompass 365 wind turbines, each with a generation capacity of 850kW, the associated overhead electric grid collection system and a high voltage substation that will be connected to the national grid. However, the power produced will be bought at a fixed price of Sh8.6 ($0.084)/kWh by Kenya Power over a 20-year period in accordance with the power purchase agreement (PPA).